I was tempted to write a post today on Johann “Wee Things” Lamont, but decided others had already covered her gaffe far better than I could. There are also far more important things to talk about. Like the implications of Mark Carney’s “technocratic” speech on currency unions. The new Governor of the Bank of England gave a master class in outlining the advantages and disadvantages of currency unions. The advantages are clear – elimination of transaction costs, promotion of investment, reduction in borrowing costs etc. But as with all good things in life, they come with a price. For Carney this price involved some ceding of national sovereignty. This notion that Scotland would have to cede some sovereignty was of course picked up with alacrity by Unionists and magnified into giving up just about all sovereignty. This in turn is what got Johann “Wee Things” Lamont into a spot of bother and ridicule. But it was not just Johann Lamont who indulged in this wilful exaggeration. Our well known friend and leader of Better Together, Alistair Darling was at it as well. He appeared on radio and TV to warn us of the lessons from the Eurozone. He decided to take Portugal as the subject for his exemplary tale. He rhetorically asked in his half shrieking voice “when Portugal and Germany sit down at the table together, who calls the shots?” The message is clear – the smaller country has to do what the larger country demands and thus the implication is that Portugal is not really sovereign or fully independent. Now this is very naughty of Mr Darling who should know better, he was Chancellor of the Exchequer after all. Portugal and Germany do not sit down at the table together. At least they do not do so on their own, which is the clear impression from Mr Darling’s rhetorical question. Both countries are part of the Euro currency union and along with everyone else in that union have signed up for the Fiscal Stability Treaty in 2012. So when Portugal and Germany do sit down at the table they do so with the other 16 countries in the Eurozone. Is Mr Darling just trying to mislead or is he wilfully lying? And why pick on Portugal? Does Mr Darling suffer from some post traumatic stress factor arising from a previous visit to that country? As regards the Fiscal Stability Treaty, what does it involve, or what restrictions does it impose on the Eurozone countries. The two key restrictions are that countries resolve to keep their budget deficit below 3% of GDP and to keep their national debt below 60% of GDP. If a country exceeds these limits it is required to introduce balancing measures. It is worth noting that there are exemptions if a country suffers from a significant recession. Now clearly this treaty involves some ceding of sovereignty. But I doubt if any of the 18 countries in the Eurozone would regard these restrictions as meaning the complete loss of all sovereignty. After all there are significant differences in tax rates and systems in all these 18 countries, not to mention different pension and welfare policies. Methinks Mr Darling doth protest too much. Just a pity that none of his interviewers were sufficiently informed to challenge Mr Darling on his absurd assertion. The reality is that no country is completely sovereign in the sense that it can do whatever it wants without suffering any consequences. This is especially so when it comes to finance and government debt and borrowing, as Mr Darling must well know. In these matters it is the global financial markets which impose restrictions on sovereign states. And it is precisely to avoid the punishing restrictions that these financial markets would impose, that sovereign countries freely decide to come together and agree on their own Fiscal Compact. Here we have independent countries agreeing to cede some sovereignty in oder to avoid an even greater loss of sovereignty to the global financial markets. Just ask Ireland or Portugal. In this respect it is worth noting that two non Eurozone countries, Denmark and Romania, have decided to be bound in full by all the requirements of the treaty, while a third, Bulgaria, has declared itself bound by the deficit and debt restrictions. These latter three examples show that even countries outwith a currency union and countries as proud and long standing as Denmark are willing to cede some sovereignty when it is felt to be in their national interest to do so. The essential point in all this is that you need to be independent in the first place in order to cede some sovereignty if you choose to do so. Which is why independence is so staunchly valued and defended by all the other countries in Europe and the wider world. Just why would the likes of Darling and Lamont not want Scotland to be in this position? What kind of military will rUK have? A fairly constant refrain from Britnats is that an independent Scotland would find it difficult to maintain an adequate force for its defence. They have also suggested that Scotland would struggle to find enough recruits for its defence forces. The argument goes along the lines that soldiers and airmen and airwomen want action. Real action, not just some pretendy training exercises. Now there may be some truth in this, though a lot less than Unionists would like to claim. After all other small countries seem to manage quite well with recruitment without the added attraction of fighting illegal wars. But leave this aside for the moment. How much real action will the future generations of the UK armed forces get to see? Whether there is a Yes or a No vote in September the reality is that the UK or rUK will have a very much reduced military. The misadventures in Iraq and Afghanistan are (thankfully) coming to an inglorious end. As regards further entanglements there does not seem to much enthusiasm for any, neither in the country as a whole, nor at Westminster. Last year’s historic vote in Parliament against military intervention in Syria may prove to be a valuable portent of things to come. There no longer seems to be the appetite for military adventures, legal or illegal. Then there is the small matter of what military capacity the UK or rUK will have in the decades to come. Not a lot by the look of things. Under the current Tory/LibDem government there has been a continuous decline in the budget for the armed forces. These cuts which cover the period from now till 2020 are very substantial and include the loss of 30,000 personnel. The Air Force will lose planes and bases and of course the Navy will be without any aircraft carriers for a number of years. And the new combat ship has yet to be commissioned, let alone built. So much for constructive forward planning! Mind you this is just par for the course as far as the UK Ministry of Defence is concerned. All this means that the UK and even more so rUK is coming close to having what the Chief of the Defence Staff has called a “hollowed-out force”. UK defence spending now stands at just over 2% of GDP. Below that level it is nigh impossible to maintain a full capacity force – a military that can combine air, sea and land forces at the same time. This in turn would risk the UK’s special relationship with the USA, not to mention its standing in the rest of the world. These cuts are unlikely to be reversed any time soon. With the economy only just beginning to recover after the longest recession for over a 100 years, there is little prospect of any UK government increasing defence spending by any significant amount. When you factor in the loss of revenue from Scotland, then rUK would be faced with an even greater problem of financing its already reduced forces. So perhaps Unionists might be better advised to worry about whether rUk would be able to maintain recruitment for its armed forces. After all for the next few decades rUK = grandiose, imperial pretensions with no corresponding capacity. Or as they used to say in Glasgow, she’s all fur coat and nae knickers. All that rUK will be able to offer future generations of recruits is participation in NATO training exercises with the odd bit of UN peacekeeping thrown in. Pretty much the same as what will be on offer from an independent Scotland’s armed forces. The Unionist campaign against Scottish independence took a bit of a battering this week. No less than three of their major scare stories were blown out of the water. To add to their misery it was the UK government which itself did most of the damage. First we had the admission from the UK Treasury that the rUK would honour all the UK’s current sovereign debts. This of course more or less guarantees that rUK will agree to a currency union with an independent Scotland as I pointed out here. Then we had the Home Office confirming that Scottish citizens would be entitled to joint citizenship in the “continuing United Kingdom” after independence, allowing them to carry British passports. Finally we had Ian King from BAE Systems confirming that future naval ships for the rUK will continue to be built on the Clyde in Scotland. This common-sense approach to all three issues was contained in the Scottish government’s White Paper. Though much derided at the time by assorted Unionists and BritNats, it seems that the UK government at least regards the White Paper as a sound basis for agreements. Of course Unionists are not going to give up easily – they have too much to lose if Scotland becomes independent. Think of all the tax revenues and the massive loss of prestige if the once mighty Great Britain becomes just England, Wales and Northern Ireland. Doesn’t have quite the same grandiose ring to it. So, dutifully acting as His Master’s Voice, Alistair Carmichael could be heard on our airwaves warning us that independence could lead to all manner of border controls on the English side of the border with Scotland. The Daily Mail rose to the occasion and hysterically talked about Border Pandemonium. Now the UK already has a land border with another independent country – Ireland. And lo and behold there are no border controls to be seen. For the UK and Ireland are both part of the Common Travel Area for all of the British and Irish Isles. It would of course be natural for Scotland to become part of this Common Travel Area. However this would not suit the scaremongers of the No campaign. Too much good news might encourage Scots to vote Yes! So out come some old rehashed scare stories. The first is that an independent Scotland would be forced to join the Schengen free travel area. As the UK is not part of this agreement, border controls would have to go up. The Schengen claim is pure nonsense. The EU does not force countries into doing things they do not want to do. On the contrary the EU works by seeking agreements. As the UK and Ireland are the only countries outwith the Schengen area, it does not make any sense for anyone, rUK included, for Scotland to be forced to join Schengen. Especially as both rUK and Ireland would be arguing from within the EU for Scotland to be allowed to continue in the Common Travel Area. The other scare story was that if Scotland were to pursue a different immigration policy, then the rUK would again have to impose border controls. Another feeble attempt to frighten the masses. Since Ireland does have a different immigration policy and yet there are no border controls along its border with the UK, why would rUK go to all the cost and trouble to erect one with Scotland? As with the UK’s debt and dual citizenship, once the votes are in, common sense will prevail. As the independence campaign gathers steam, expect more Unionist myths to come tumbling down. What I continue to find amazing is the alacrity and glee with which Scottish Unionists try to talk Scotland down. Their constant refrain is that we are too poor and too small and just not up to the task of running our own country all on our own. Everyone will be against us and will be desperately trying to do us down. Even the rUK would be trying to make life bad for us. Do any of them really believe any of this rubbish? The fact that dozens of small countries in Europe have become independent over the past 20 years never seems to enter their consciousness. Yet all are now successful independent countries. Most are now full members of the EU. None of them wants to give up their independence. But somehow, for Unionists, Scotland, and uniquely, only Scotland, would not be able to do this. Slovenians, Slovakians, Lithuanians, Estonians and others can all do so without any difficulty, but Scotland not. There must be some condition that explains this blindness and fear on the part of Unionists. Perhaps we should just pity them! Despite David Cameron’s insistence that the independence referendum is a matter for Scots, he keeps on sending his personal emissaries up here to lecture us on the apparent benefits of the Union. The latest one to do so was William Hague who ventured north last week to point out how much worse off we will be if we vote for independence. The reason for this was the loss of the UK’s famous budget rebate. Cue for warning headlines such as, UK warns Scotland its EU budget contributions could soar and An independent Scotland would end up subsidising England’s EU rebate. Scary stuff, though of course all this does is to provide confirmation that an independent Scotland will be such a rich and wealthy country that we can afford to help out our poorer and heavily indebted neighbour to the south. Didn’t see that headline either. All this talk about Scotland losing its share of the UK rebate is of course only relevant if Scotland remains part of the EU and we have not been cast adrift or expelled. So really we have two Unionist myths demolished in a couple of headlines. Perhaps we should ask William Hague to come up here more often. Behind all these claims about the rebate and its loss to an independent Scotland is the assumption that the rest of the UK will retain unchallenged and unchanged the current UK’s membership of the EU and its assorted opt-outs and exceptions. Various legal opinions have been offered to this effect. But it cannot be stressed often enough that a legal opinion is just that, an opinion, albeit probably a very expensive opinion. It remains merely an opinion until such time as it is accepted or rejected. In the case of the rUK that will come when, after Scottish independence, the rUK makes some kind of application to the other EU states asking for their approval of this continuity and their approval for the continuance of all these famous opt-outs and in particular the continuance of the budget rebate. But what if some member states say no, non, nein. We are constantly told that Scotland’s application to join/rejoin/stay in will require the unanimous approval of all 28 member states. But will this unanimity not also apply to rUK’s application to retain all the soon to be former UK’s opt-outs and exceptions? While no-one is likely to want to expel rUK, some member states might well want to use this opportunity to put in some conditions. They seem to be very keen to do so with Scotland, so why not with rUK? What about a deal with rUK whereby it gets to retain its membership on condition it gives up the rebate, or at the very least agrees to significant changes to it? After all just about all the other 27 member states resent the UK’s budget rebate, they have to pay for it. In typical faux imperialist arrogance the UK’s leader never seem to be willing to consider that the rUK may not be in the strongest position when it comes to negotiating a deal. In fact the likes of William Hague seem to live in a world where rUK will not have to negotiate anything – the rest of the world will just do what we tell them. A position that was comprehensively destroyed the previous week when the UK Treasury was forced by the markets to issue a statement that rUK would honour all UK debt in the event of Scottish independence. William Hague and the Foreign Office seem to be a bit behind the curve here. When it comes to the calculation of the UK rebate there are a couple of points worth making. The first is that some kind of rebate deal was always on the cards. Right from the start of the UK’s membership of the EU it was recognized that there would be a continuing and significant imbalance between what the UK paid into the EU and what it received back. This was particularly important in the 70s and 80s as the UK was then one of the poorest member states. The reason for this budget mismatch was, and continues to be, the Common Agricultural Policy (CAP) of the EU. The UK gets relatively little out of this spending, which remains by far the biggest element in the EU budget. Over 70% in the 80s and still just over 40% today. Here it is worth noting that if our great and prescient leaders in Westminster had joined the EU at its inception in the 1950s there would be no CAP, or at the very least it would be a completely different CAP, one which benefited UK agriculture as much as French and German. Yet another example of how we continue to pay for the incompetence of UK decisions. The UK budget rebate, though it continues to be controversial, was resolved on the basis of a principle. This principle is set out in the original European Council agreement from 1984, where it states; “However, it has been decided that any Member State sustaining a budgetary burden which is excessive in relation to its relative prosperity may benefit from a correction at the appropriate time.” In the case of the UK this correction was defined as a rebate of 66% of the difference between what the UK contributes to the EU budget and what it gets back. This remains the basic formula, though as the EU has expanded to the east, most of the EU spending in these new member states is not covered by the UK rebate. This means in effect that the rebate is reducing in value. To complicate matters the Netherlands, Sweden, Austria and Germany have their own rebates, in an attempt to put a limit on how much they have to pay for the UK rebate. Another point to note is that the existence of the rebate is a disincentive for the UK to apply for EU funding. The more EU money that comes to the UK, the lower the rebate. What might all this mean for an independent Scotland? In the first place, given that the UK rebate is controversial, the other member states may use the opportunity provided by Scottish independence to force through its abolition, or a substantial change in its calculation. If on the other hand the rebate continues in its present form, it is worth noting that the UK rebate is not simply the result of Maggie Thatcher’s handbag, so fondly projected by her sycophants. Rather it was a negotiated agreement which was based on the recognition by all that no member state should be expected to sustain an excessive budgetary burden. As such if it can be shown that an independent Scotland would also suffer from such an excessive budgetary burden, it would be difficult for the rest of the EU to ignore this fact. As the smaller rebates for the Netherlands, Sweden, Austria and Germany illustrate, the EU tends to work in a spirit of negotiation. Finally if there was to be no rebate for an independent Scotland it would then be in a position to apply for the maximum funding from the EU budget. This was the title of a very interesting and informative talk by professor Hew Strachan earlier this week. The professor is a military historian, currently at All Souls College, Oxford. Though he is clearly a Unionist, his talk was on the whole quite balanced and fair. His default position is that Scotland’s defence is best secured by remaining in the UK. He sought to justify this position by the claim that small countries are almost by definition more at risk than large countries. When it comes to defence and the military, size does matter. However the evidence, some of which he provided himself, does not in any way back this up. Firstly being part of the UK and its Empire, then the largest in the world, did not protect Scotland from the horrors of the First and the Second World Wars. Secondly the experience of other small countries such as Norway and Denmark for example, both of which were invaded and occupied during WW2 has not persuaded either to give up their independence, however exposed they might remain. Thirdly as Professor Strachan himself pointed out any future threat to the peace of Europe is most like to come from a global conflagration involving the really big powers in the world – USA, Russia, China and rising powers such as India, Brazil etc. If Professor Strachan is serious about the need for Scotland to be part of a larger country to secure its defence, then the UK is much to small to provide this security. The professor’s logic would lead to the creation of a United States of Europe with its own powerful military. Something the good professor did not touch on at all. When it came to looking at what the military in an independent Scotland might look like, he was on securer grounds and made some useful and pertinent comments and suggestions. He did of course fall into the sin of only talking about the SNP and their defence proposals. He seemed to be pretty much unaware of the options put forward by other parties and groups on the Yes side. On the plus side he was very confident that an independent Scotland would be welcomed into NATO. The geopolitical situation would ensure that NATO needed Scotland at least as much as Scotland might need NATO. He was also, perhaps surprisingly, quite clear that if an independent Scotland decided to get rid of the Trident submarine base, then this would automatically lead to the rUK giving these nuclear weapons up. He even went so far as to suggest that most of the Ministry of Defence would welcome this. Most in that ministry apparently regard Trident as a useless waste of money. The good professor disagrees with this view by the way. Professor Strachan’s other interesting observations were on the possible composition of defence forces in an independent Scotland. He advocated that more time was spent on analysing the potential threats to Scotland and less on what hardware might be inherited from the UK. Good advice really. His view is that the key priority for Scotland will be the North Sea and this implies a much greater need for air and naval forces than for a land army. He suggested that automated planes and submarines should form a significant part of these forces. In response to a question he acknowledged that the UK at present does not offer any kind of naval presence or protection for Scotland’s share of the North Sea. Not much of an advert for Better Together. 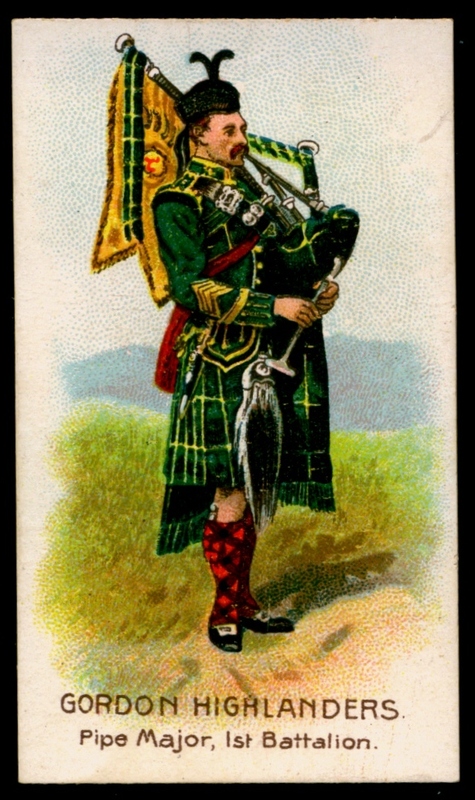 While this emphasis on the North Sea is in part reflected in the government’s White Paper, he did forcefully question the SNP plans to retain all the names and identities of the Scottish regiments. There is unlikely to be enough regiments in an independent Scotland to make this a serious option. A significant land force might still be needed according to Professor Strachan in order to fulfil our commitments to NATO. For he was keen to emphasize that as part of a collective, shared defence organization, Scotland would be expected to offer something in the way of a fighting force. Whether this is really true, I will leave to others more knowledgeable than I. Iceland I seem to recall does not have anything more than fishing protection vessels. Perhaps we could get away with a predominantly ceremonial army when independent. All in all a most interesting talk. It was good to get confirmation from such a respected source that there will be no problems for Scotland to enter NATO, assuming the next government wants to do so. Nor will there be any serious problems in getting rid of Trident. It was also interesting to note that throughout he used the pronoun we, when talking about an independent Scotland, even though he doesn’t live here at present. I got the impression that though a Unionist, he was not too bothered about the prospect of Scotland becoming independent. The announcement by the UK Treasury that it will take on sole responsibility for all of the UK’s national debt is at one level a simple acknowledgement of the obvious. The markets needed assurance that this debt would be repaid and they didn’t want any uncertainty about who would pay which bits of the debt. As the government at Westminster has consistently claimed that rUK would be the sole successor state, it had no option but to offer this reassurance to the financial markets. So far so simple. However this acknowledgement is also a great boost to prospects for Scottish independence. For the same Treasury announcement also claims that it expects an independent Scotland to enter into an agreement with rUK whereby Scotland would take on its fair and proportionate share of the UK’s current liabilities. This fair and proportionate share would be repaid directly to the rUK treasury. The terms of this repayment would be negotiated in a separate contract between the two governments. Which they will do. The Scottish government has always stated that it will take on its fair share of UK debt in return for receiving its fair share of UK assets. So we can take it for granted that an agreement will be reached between rUK and an independent Scotland for sharing out both the debts and the assets. The implications of this announcement go even further. In effect Westminster is acknowledging that there will be a sterling currency union and that Scotland will quickly and smoothly become a full member state of the EU. There will be no expulsion and no veto. The reason is quite simple. rUK will in future be dependent on an economically successful and stable Scotland. Without the debt repayments from Scotland, rUK would be in danger of defaulting on its debts. Which remember will be the debts of the whole of the former UK. It thus becomes vital for the economic success of rUK that Scotland does well. Punishing Scotland would only serve to punish rUK. Thus I confidently expect that after a Yes vote rUK will rush to establish a sterling currency union and will lead the negotiations within the EU to confirm as quickly as possible Scotland’s continuing membership. It is worth noting that this initiative of the UK treasury is pretty much in line with what the Scottish government has repeatedly proposed, most recently in their White Paper on independence. It is probably too much to hope that this common sense approach will be extended to other aspects of the independence negotiations. After all acting like an ostrich is not a very dignified position for the government of a major European state. Was A Federal UK ever possible? Many of the Unionists opposed to Scottish independence like to hold out the prospect of devolving further powers to the Scottish parliament in the event of a No vote. Nothing of substance is ever provided, it is always vote No and then we’ll think of something, anything, possibly, perhaps, but just vote No anyway. Though there is precious little likelihood of any kind of greater powers coming our way, it is worth taking some time to explore precisely why this will never become a realistic option. I referred to federalism in the title of this post in order to illustrate the contradictions at the heart of constitutional debate in the UK. For a Federal UK would appear to be the most logical and comprehensive way to allow the four nations that make up the UK to stay together. However federalism has never been regarded as a serious option for reforming the UK. The LibDems like to portray themselves as the champions of a Federal UK. However they have never, ever, done anything to bring it about. Though they are a bit of a joke party nowadays, once upon a time in the not too distant past they, as the Liberal party, were the dominant force in British politics. Yet, they repeatedly failed to deliver even a modicum of devolution in the form of Home Rule to Ireland. A failure which led to a bloody, messy and unwanted outcome – an independent Republic of Ireland and a rump northern Ireland remaining in the UK. This brings out a constant feature of the British establishment, its failure to think ahead and its unwillingness to compromise. The reasons for this are not hard to find. Essentially they boil down to the power and size of England within the UK. A further influencing factor is probably the centralisation of political and financial power in London. There is just too much to give up for federalism to have ever been a serious possibility for those who rule from Westminster. For federalism means giving up power in a way that devolution does not. A Federal UK would need a proper written constitution which specified what each level of government could and could not do. It would also require an English parliament. Which is the real elephant in the room. Virtually nobody in England wants an English parliament. Why would they, when they already have one – Westminster is in the eyes of the people of England, their parliament. Which it is in practice anyway. There is simply no stomach in England for the trouble and costs of building a new Federal Parliament somewhere else just to placate a few Scots, Welsh and Irish. With Federalism a non-starter, we are left to muddle on with the current messy and potentially unstable constitutional arrangements. They are messy and unstable precisely because there was no UK wide thinking behind the current devolution settlements. Different powers were devolved to Scotland, Wales and Northern Ireland, with no account taken of England. Thus the UK parliament and government has at different times to act as the government of the whole of the UK, as the government of England, Wales and Northern Ireland, as the government of England and Wales and all of the time as the government of England. Though a bit of a mess and unliked by the voters everywhere, you can see its attractions for the likes of Cameron, Clegg and Milliband. So much power is hard to willingly give up. Which is why they will cling on to this power for as long as they can. Rumblings about this messy state of affairs even reaches Westminster itself and from time to time half-hearted attempts are made to tidy things up a bit. The most recent came last year, when the McKay Commission published its Report on the Consequences of Devolution for the House of Commons. The best this august commission could come up with was the suggestion of creating an English Grand Committee to give a formal voice to the views of English MPs when a bill affecting only England came before parliament. However this voice was to have no power. There would be no English votes for English laws. The Mckay Report is another example of how the British establishment continues to refuse to face up to and confront the difficult and fundamental questions that the lack of a written UK constitution poses for us all. Much better to just continue to muddle along in the hope that nobody causes a real fuss. For a detailed analysis of the Mckay Report see this article by Mark Elliott. However the prospect of Scottish independence and the acceptance by all in Scotland that we should have a written constitution if we do vote for independence is making this muddle along approach more and more untenable. Aileen McHarg has a very good article here on the growing differences between Scotland and England in this respect. In all this what is noticeably missing is any concern whatsoever by the powers that be in Westminster, whether the Tories, Labour or even the LibDems, to concede more powers to Scotland. Such a thought only ever crosses their minds to immediately rule it out. It has never been part of the mindset of the British establishment to give up any powers. It only ever does so most reluctantly and most unwillingly. A No vote just means more Westminster control and more austerity. 2014 – A Year of Door-knocking! Now that the 12 days of Christmas are over and the tinsel is all down, it is time to start thinking seriously about how we can win the referendum in September. We can win, but we need to up the ante and everyone can play a part. Lots of little things will contribute to winning, but I reckon three particular strands stand out. There is no need for us to tell lies or exaggerate – the truth about the UK is ugly enough. Broken Britain as a certain David Cameron described it. For broken it is, or as John Reid would put it, Britain is no longer fit for purpose. Rising debt, never ending austerity, rising inequality and an underperforming economy. A UK in thrall to the financial sharks of the City of London. While the Tories are the worst of a bad bunch, there is little evidence that Labour would make much of a difference. We just need to keep presenting people with the facts about the iniquities of the UK and the record of incompetence demonstrated by successive governments. We need to break free of Westminster to have a chance of building a better Scotland. Scotland can be different and better, we can become a more prosperous and more equal country. To win the referendum we need to inspire voters with practical visions of what an independent Scotland could look like. The Scottish government have started this with their White Paper, which outlines the SNP’s vision of a different Scotland. The Jimmy Reid Foundation has published its vision of a better Scotland with its Common Weal project. The Greens and socialists will have their ideas on how to make Scotland a better country. We need to get out as many visions of the future out in the public domain as possible. This includes the right wing alternative as envisioned by the Wealthy Nation group. The key is to convince a majority of voters that change is possible and that we do not have to remain stuck in the old, failing UK rut. A new world awaits us! This may turn out to be the clincher in winning the referendum. The mainstream media will continue to be against independence, so we must take our message direct to the voters. We need to get as many people as possible out knocking on doors and talking to people. There is nothing as effective as the personal touch. I have already managed to get in few turns of canvassing towards the end of last year. Very soon I expect to out again as part of the Radical Independence contribution to canvassing in Dundee. It is much more interesting and pleasant than I had anticipated. Most people are quite welcoming and many are only too pleased to have a chat about the prospects for independence. So far I have found many are in favour of independence but are still a bit doubtful, not sure how wealthy a country Scotland really is. They are there to be won over, and a chat on the doorstep is as good a way of doing this as any. 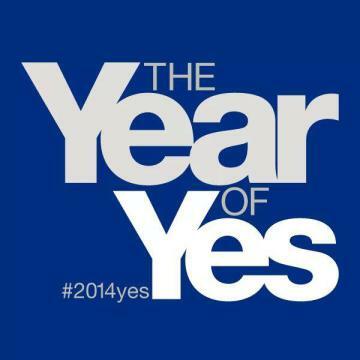 So I urge everyone to join their local Yes group and get out canvassing as often as you can. It is the only way we can be sure of getting our positive message across. Further confirmation that we can win the referendum came with the recent opinion poll commissioned by no less than Better Together. This found that only 29% of the respondents wanted the status-quo. 30% wanted full independence, while 32% wanted more powers for the Scottish Parliament. Not a ringing endorsement of the UK by any means. However the most interesting part is the 32% who want more powers. For if there is one thing we can be assure of, it is that there will be no additional powers for the Scottish Parliament in the event of a No vote. It is quite simple really, if the Tories wanted to give us more powers they could have done it already. It is only Westminster than can extend the powers of the Scottish Parliament. Labour has shown no interest in this either. So all these voters who want more powers will come September be faced with a simple choice – the status-quo or independence. If we can convince just half of this group to vote Yes, then we will win. So get out there canvassing! To end I would recommend everyone to watch and listen to this video of Robin Macalpine’s speech at last year’s Radical Independence Conference. I was one of the participants at this conference and can assure everyone that this was a truly inspirational and moving speech, full of humour, but with some serious points. Including the need to get out and canvass! World War 1 – A Tragedy, not a Crime? This phrase, without the question mark, is used in the concluding chapter to Christopher Clark’s illuminating book, The Sleepwalkers – How Europe went to War in 1914. In this carefully argued book, Clark is at pains to counter the notion of a guilty party. And it does seem to be true that none of the belligerents planned for the actual war that began in August 1914. On the other hand as Clark makes clear all the major powers were to a greater or lesser degree prepared and willing to go to war, if not in 1914, then sometime soon. Though all the main countries involved in the war were in extremis prepared for war, it seems to me from reading Clark’s book, that some were more willing than others. In the case of France and Serbia there is much evidence that both countries were not just willing to go to war in the years from 1913 onwards, but that both countries needed a general war in order to achieve their own national objectives. 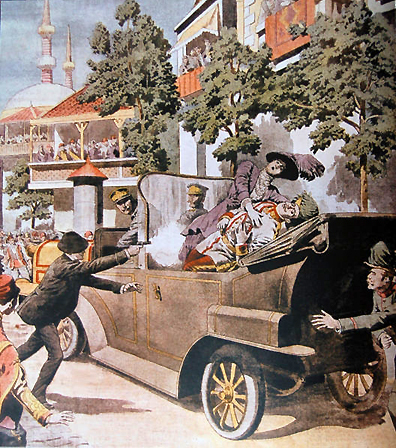 This is clearly the case of Serbia, the instigator of the assassination that proved to be the catalyst for the war. The aims of just about all Serbians, especially the elite, both political and military, was to create a greater Serbia. Their notion of what constituted this enlarged Serbia included all the places where Serbs used to live and all the places where Serbs currently lived. To further complicate matters the Serbian elites regarded Croatians, Bosnians and Macedonians as Serbs, who just weren’t aware of it yet. Serbian policy was to achieve the union of all these lands within a greater Serbia. This aim could only be achieved by war, as most of this notional greater Serbia was currently part of other states, most noticeably the Austro-Hungarian Empire. Hence the deep antagonism of most Serbs towards the Hapsburg Empire. On its own Serbia was most unlikely to defeat the Austro-Hungarian Empire in a war. A local war was of no use to Serbia, as it could not win it. Only with the destruction of the Hapsburg Empire could Serbia hope to achieve its aim of a greater Serbia. This in turn could only happen in the context of a general European war. Russian support for Serbia in a war with Austria-Hungary would of course trigger off the intervention of Germany, which in turn would trigger off the intervention of France. Thus it would seem that in 1914 Serbia needed a general European war and at the very least would do nothing to prevent one from starting. Something similar could be said for France in the years preceding the war. The main aim of French policy was to win back the provinces of Alsace and Lorraine, lost to Germany in 1870. Much like Serbia, France could not on its own militarily defeat Germany. Hence the need to develop the military alliance with Russia. However the Russians were unlikely to go to war with Germany just to help France recover Alsace and Lorraine. Only in the context of a wider war would Russia participate on the side of France. As Russia did not have major issues with Germany, this wider war would have to start elsewhere. Which takes us back to Serbia and the Balkans. Russia’s main opponent in the Balkans was Austria-Hungary, and Russia’s main ally in the region was Serbia. The French had for some time realized that a war between Serbia and Austria-Hungary would provide the trigger for involving Russia and thus in turn involving Germany as outlined above. Thus the French too had reasons for wanting a general European war as the most likely way to win back their lost provinces. Russia too had its own reasons for wanting a general European war. These were twofold and both related to the decline of the Ottoman Empire. The first was to secure and if possible increase Russia’s control and influence in the Balkans, which of course brought her into direct conflict with Austria-Hungary. The other and probably deeper reason was the age old Russian ambition to control Istanbul and the Straits. In this ambition Russia was opposed by just about everyone, not just Austria-Hungary. The Ottomans themselves were none too keen and were desperate to modernize their military forces on land and at sea to secure their capital. So the Russian leadership came to the conclusion that they could only secure control of Istanbul as part of the upheavals that come with a European war, when the British and others would be unable to prevent a Russian attack. There was also the factor that if the Russians did not act sooner rather than later, the Ottomans may have improved their military sufficiently to ward off any Russian attack. Austria-Hungary was in as the saying goes, between a rock and a hard place. Internally it was beset by all kinds of problems due to the unique nature of the regime and the large number of nationalities living within its boundaries. Many of these nationalities had brethren in neighbouring states and the Empire was always at the risk of irredentist campaigns. The rapid decline of Ottoman power in the Balkans only exacerbated this trend, as Serbia in particular became a larger and more powerful state, with ill-concealed ambitions on Hapsburg land. Austria-Hungary was in no position to seek to extend its territory, it had more than enough problems as it was. But how to thwart the aggressive intent of the Serbs in particular. This was the question which most pre-occupied Hapsburg leaders. Most were strongly opposed to war, but the recent rise in Serbian power and the strengthening of Russian support for Serbia made this line more difficult to hold. The assassination of the heir apparent changed this completely. A local war against Serbia quickly became regarded as the only option to maintain the integrity of the Empire. But could a war against Serbia remain a local war? Given the strength of Russian and French support for Serbia this was most unlikely. Yet the Hapsburg leadership felt they had no alternative. If the Empire was to survive then it would probably involve sooner or later, a war with Russia. This feeling that if there was to be a war then it was as well to fight it now, seems to have been the main thrust of leadership opinion in both Germany and Britain. Neither country had a direct interest in the conflict between Serbia and Austria-Hungary. However both were bound by treaties to come to the aid of others if war did spread beyond these two states. This was particularly the case for Germany, which pretty much had no option but to come to the aid of the Hapsburg Empire if it was attacked by Russia. There is no evidence that the Germans were actively seeking a wider war in 1914, rather the opposite. However they did very little to “lean” on Austria-Hungary and try and find a peaceful settlement with Serbia. Then again no-one was “leaning” on Serbia to try and get the Serbian leadership to co-operate with Austria-Hungary. Indeed the opposite is the case. If the Russians were determined to go to war against Austria-Hungary, then Germany would accept the challenge. But they did not seek it. In which case it is hard to see why Germany should continue to be singled out as the guilty party for the war which followed. Something similar seems to have been the case with Britain. Largely on the outside of developments during July, the British had no particular wish for a general European war, but were like Germany tightly bound by alliances with Russia and more closely with France. Much like Germany, Britain did little to try and prevent a war in 1914. Rather it let it happen and then willingly participated int the war. Not a happy tale, with no country covering itself in glory. All contributed to one degree or another to the war, but it seems to me that Serbia, France and Russia were the countries that acted in ways that made the war more rather than less likely.